Festisvall Fünf is an art and music festival taking place late summer 2015. 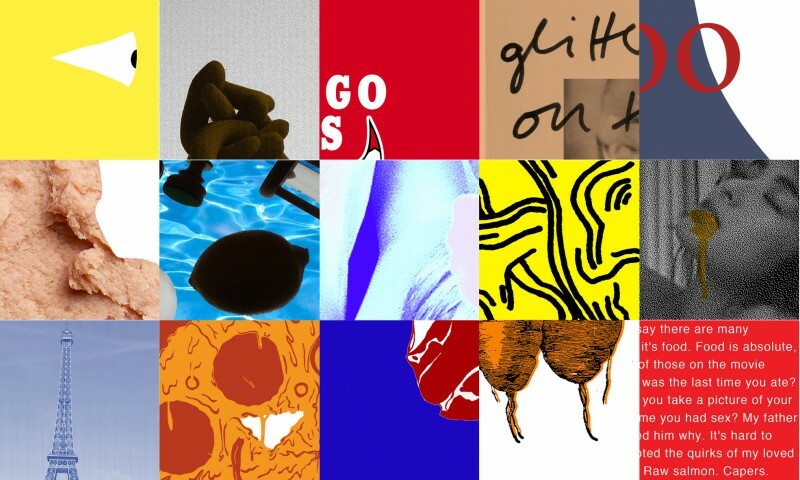 With artworks from 20 Icelandic, German and Dutch artists and four Icelandic bands, it will travel through Reykjavík, Berlin, Leipzig and Amsterdam with concerts and exhibitions in each city. 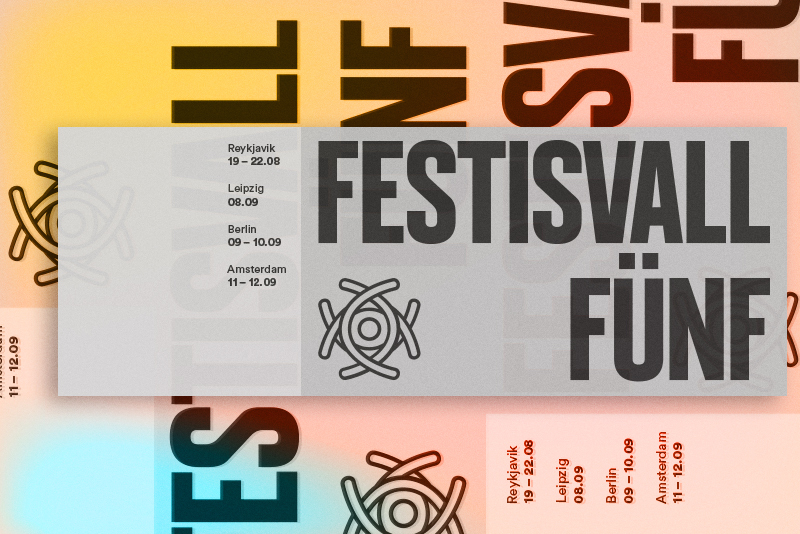 This is the fifth year of Festisvall festival and it is our ambition to celebrate this birthday with an art- and music extravaganza, by touring with a poster exhibition and concerts to 4 cities; Reykjavík, Leipzig, Berlin and Amsterdam. Along with each art opening, we have confirmed at least three Icelandic bands to play a show in each city. Most importantly, we want you to join us and help us make this celebration as nice as possible! In December, Festisvall commissioned 20 German, Dutch and Icelandic artists to design posters with the theme “food”. We chose the fixed medium of posters since that would make an easily portable exhibition. All the artists have turned in their work and we are halfway through screen printing them in our studio in Berlin. Facebook event: click here ! We have invited some of our favorite artists and bands to come with us on this tour. Take a closer look at the participants, they are quite something. Each poster comes in 20 numbered copies, is size A2 and hand printed on 180g Hahnemühle paper. They will be sold at the exhibitions, but we offer one numbered copy of each on pre-sale. If you pledge 120€ now, you can be among the first to secure yourself an artwork! Below you can see a digital sneak peak of the posters. If you think you like one in particular or would like to buy from a specific artist send us a message via info@festisvall.com once you have pledged and we try our best to fulfill everyone's wishes. Red-bearded pop auteur Berndsen mines the 1980s for inspiration , retro music. Synth bass, programmed drums, guitar solos, retro-futurist aesthetics and dramatic vocals make for an intoxicating, atmospheric, analogue-feeling sound, reminiscent of everything from Michael Jackson to Kraftwerk to The Eurythmics to fellow revivalists like Glass Candy, Dreamtrak and Chromeo. Infinite amounts of fun live. All produced by his twin brother Hermigervill. Good Moon Deer is the project of one Guðmundur Úlfarsson, a solo artist who makes a propulsive, glitchy, ever-evolving brand of improvised electronica. Live, and in his artwork and videos, the music is accompanied by slick visuals. Guðmundur applies a crisp aesthetic to his sonic work, which is all about mechanical-sounding loops, neatly clipped samples and minimalistic sound collage. M-Band is the solo-project of the multi-talented, multi-instrumentalist Hörður Már Bjarnason. His music combines beat-driven nu-electronica with his heart wrenching tenor vocals, and has been described by many as atmospheric, captivating and dreamy. Combining disparate elements of electronics (Þórður Kári Steinþórsson, aka ‘Doddi’), clarinet (Áslaug Rún Magnúsdóttir) and Jófríður Ákadóttir’s enchanting voice, Samaris mix glacial electronica and pulse-like beats with haunting chanted vocals - the lyrics culled from nineteenth century Icelandic poems. In the past few years, Hermigervill has established himself as one of the main players in the Icelandic electronic music scene. Although his name might be hard to pronounce, his live show is very easy to understand. It is all about fun and human emotion, translated through machines and cables, and feels truly live, as opposed to the majority of today's solo electronic acts. Working behind the scenes and on stage with many remarkable Icelandic artists such as Berndsen and Retro Stefson, his musical vision stretches further than many people realize. East of My Youth is an Icelandic electro-band formed in 2014 by Thelma Marín Jónsdóttir and Herdís Stefánsdóttir. They were later joined by Guðni Einarsson. 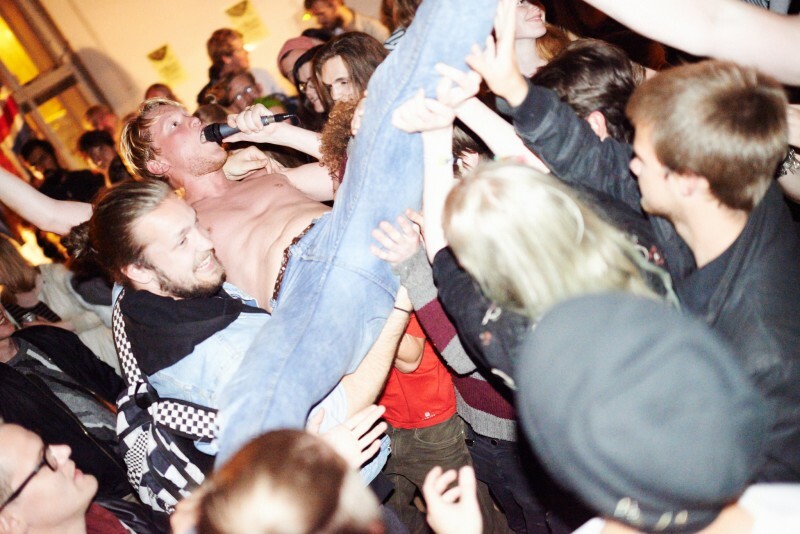 The band played their first show at last year's Iceland Airwaves, which was a great success! They are now working on their first album. We have almost confirmed all our venues. Where will we be in your city? 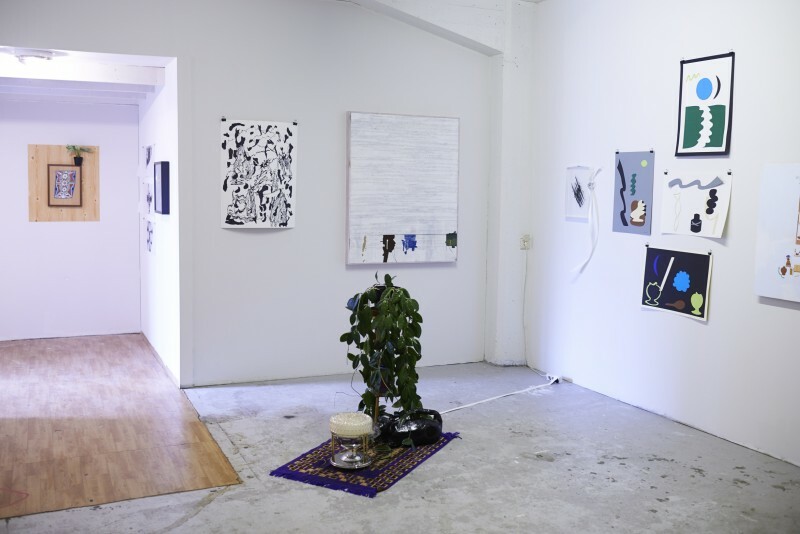 The Icelandic artist Egill Sæbjörnsson has hosted in collaboration with Curator Annabelle von Girsewald a series of events called “The Bakery”. It is a performance, installation and a research project, with the aim to learn more about the effect of food in terms of physical, cultural and spiritual diet. The performance is in a form of a workshop which requires the audience’s participation. The Bakery will take part in our program at Mediamatic in Amsterdam. Steypa is a collective of multimedia artists and graphic designers. They are based in Reykjavík and work on large scale productions as well as independent projects including art and design. Studio Steypa is combined of Hrund Atladóttir, Ragnar Már Nikulásson, Katla Rós Völudóttir & Jón Einar Björnsson. They will create a version of the project in another dimension! If you live in Leipzig you are lucky, because Clemens will be an addition to our exhibition over there. Just check out his website, it's amazing. We are a group of artists, curators, a graphic designer, a programmer and producers who have worked in Festisvall’s name for longer or shorter time. Some of us have been here from the beginning, some started out as participating artists and stuck around, while others just recently joined the team for this year's celebration. All of us believe in the power of art, teamwork and international collaboration. This year we are going big. We are not only doing an exhibition and a concert, but an exhibition in four cities, with bands playing in four different venues. We also want to bring along our soundman to secure the best outcome for our musicians, and a photographer so we are sure to document the process in the best possible way. This operation will cost us some money, so we want to ask all our friends, families, former and future Festisvall participants, art fans and music lovers, hipsters and hippies to help us make this possible! We plan on launching our website, www.festisvall.com, in late-June. There we will present all artists that have participated in Festisvall throughout the years and keep an archive and newsfeed about our past and future events. Later on we also want to make it a platform for discussion about art and music and invite people to write articles and and reviews from anywhere in the world. The website will also serve for documentation for Festisvall Fünf, so that anyone can follow up on what's happening during our tour. Throughout the whole process we will have a photographer and cinematographer on board for documentation. From this we will make a printed publication (a book) consisting of the works from the exhibitions in some form, with written texts from curators and other food-related additions. By pledging 80€ you can reserve a copy of this book, right now! Furthermore we will edit a short documentary to include in the publication and to share on our website. Have a look at the rewards on the right and see if you find something you like. We will be eternally grateful for your support!